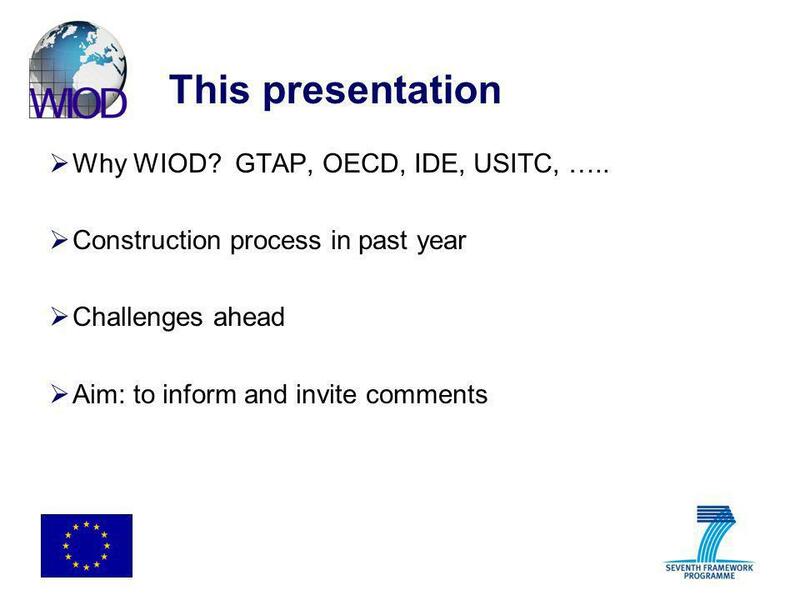 2 This presentation Why WIOD? 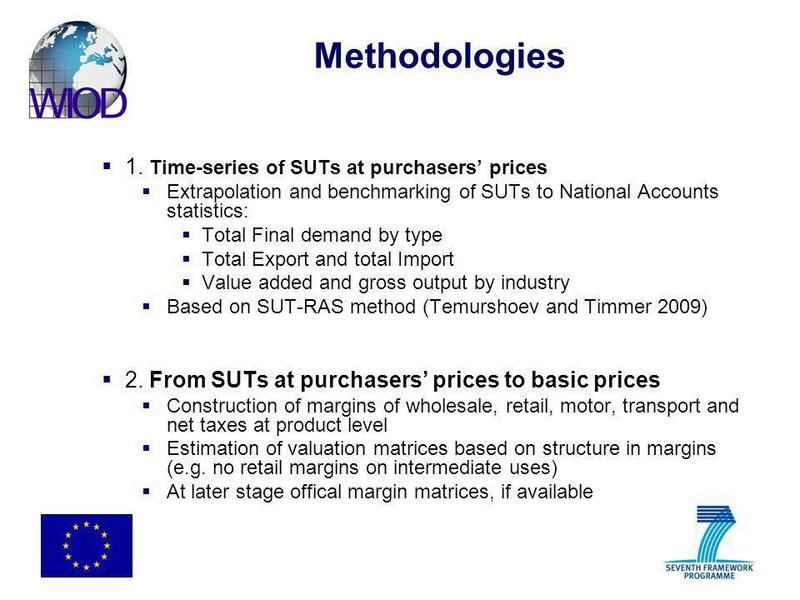 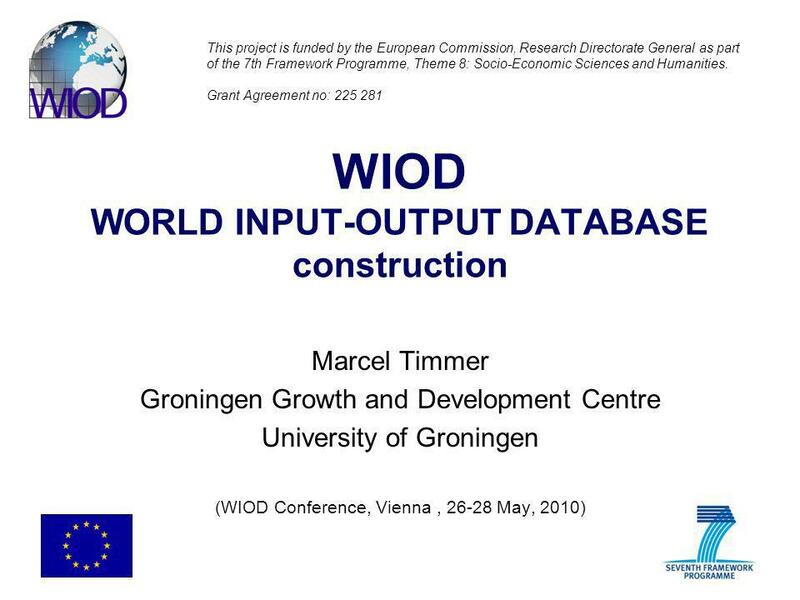 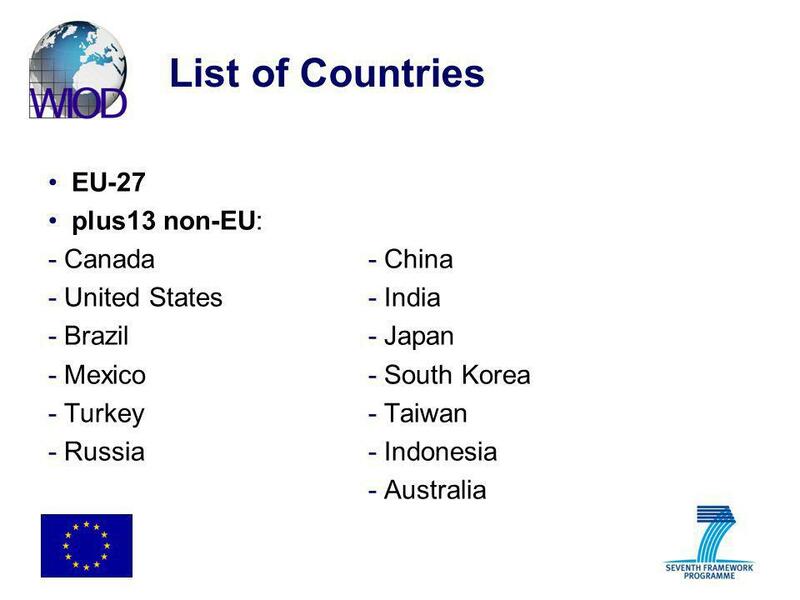 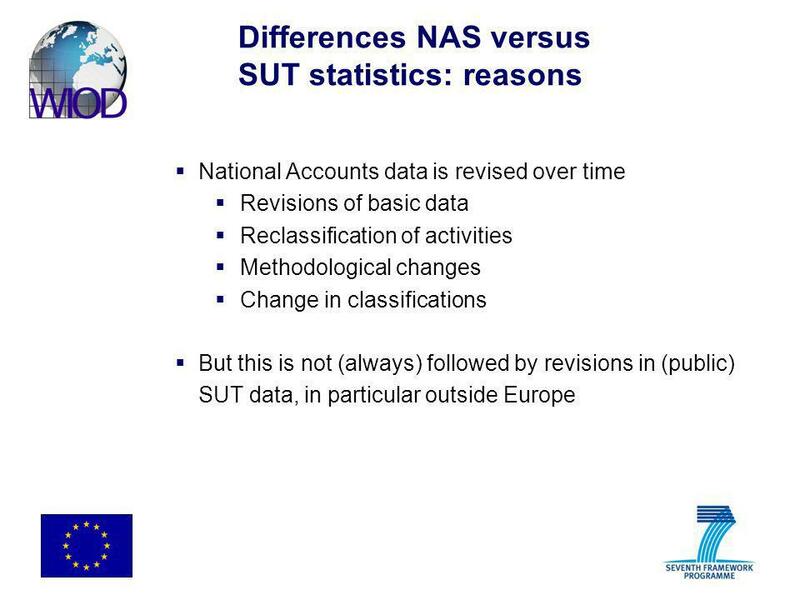 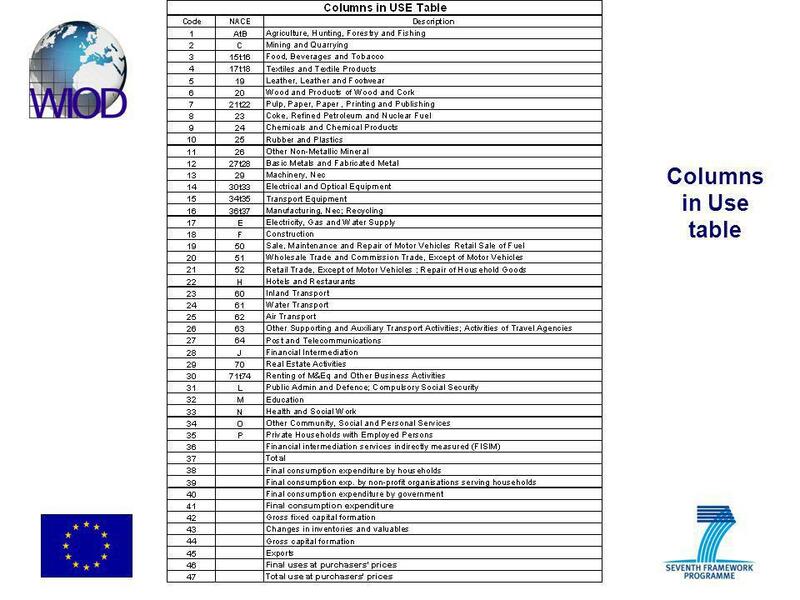 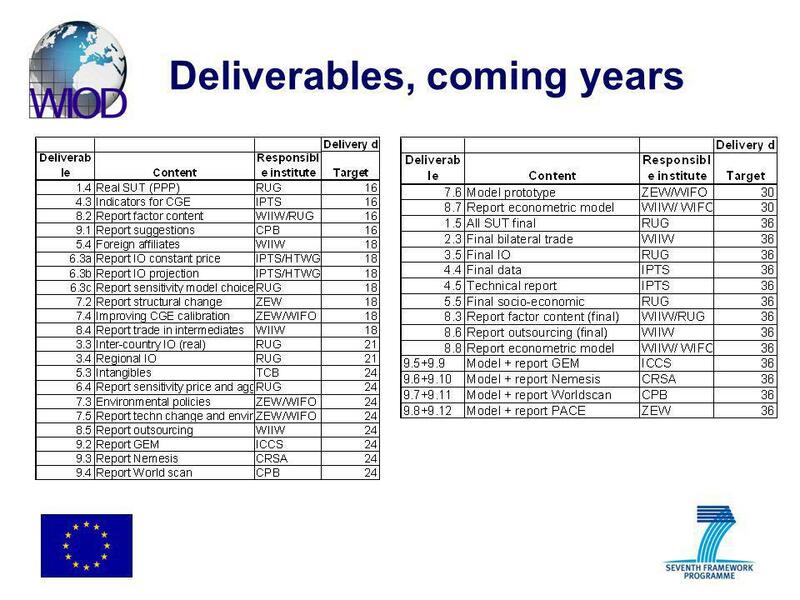 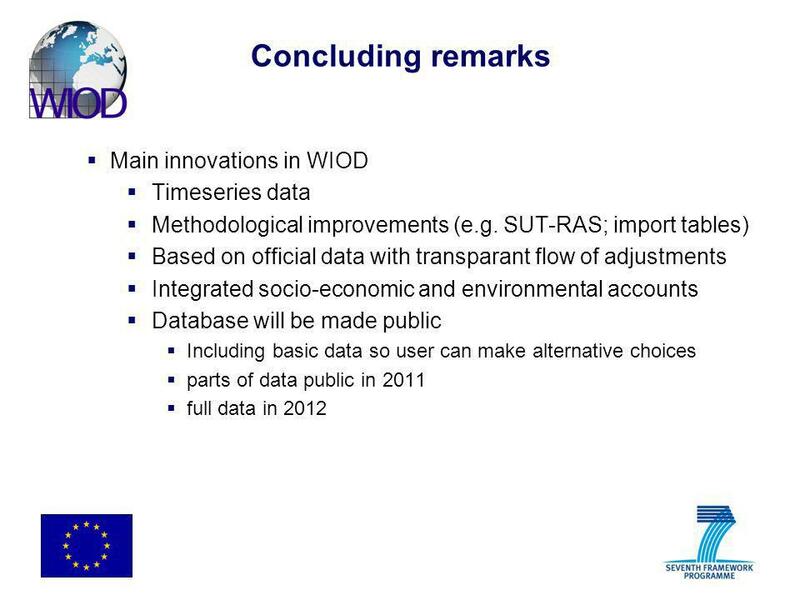 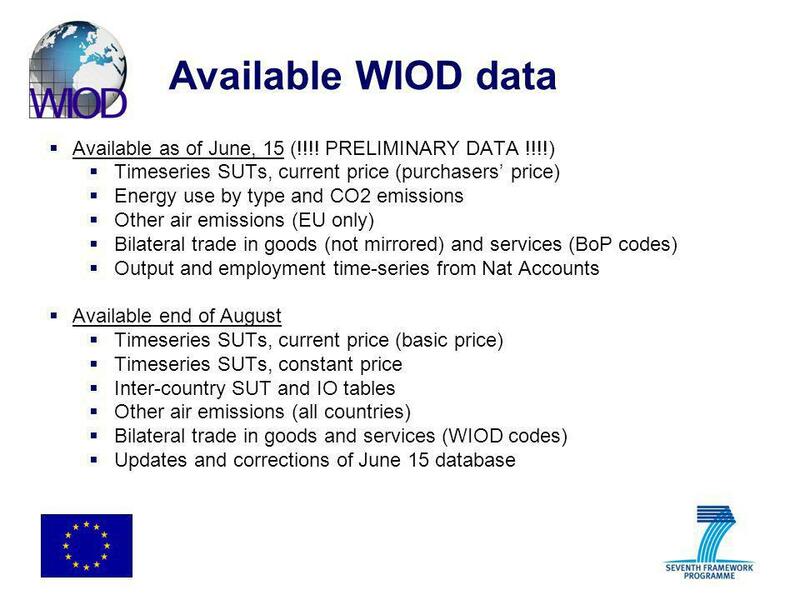 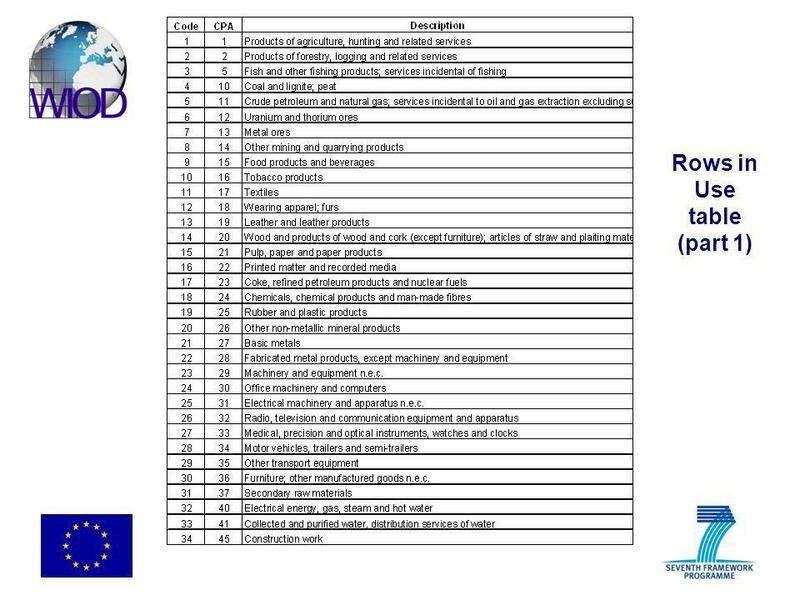 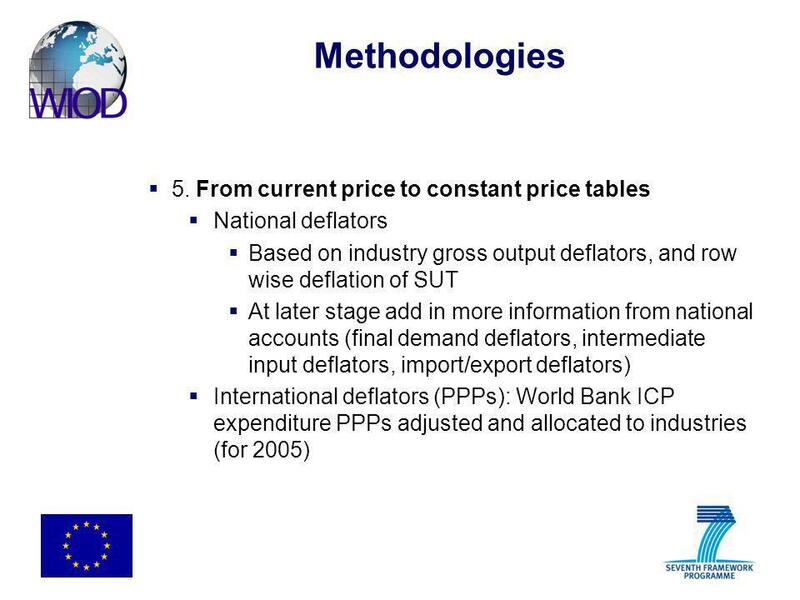 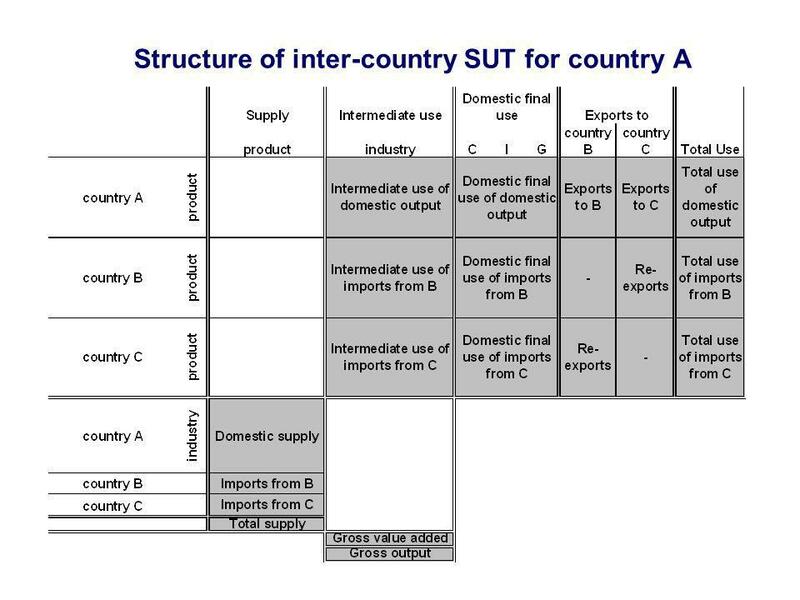 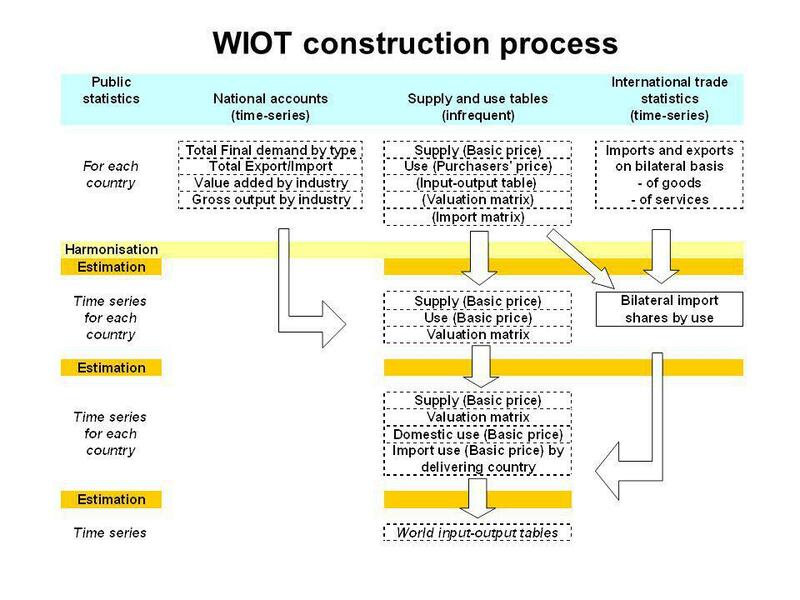 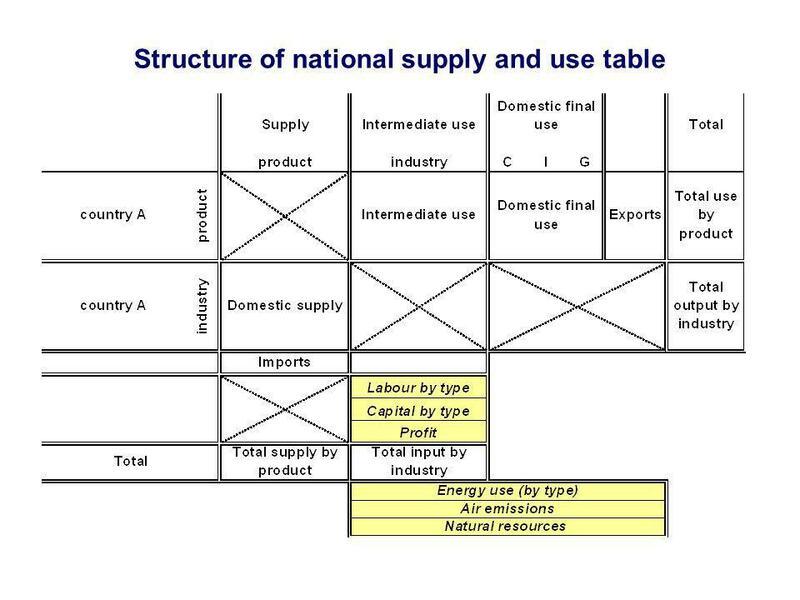 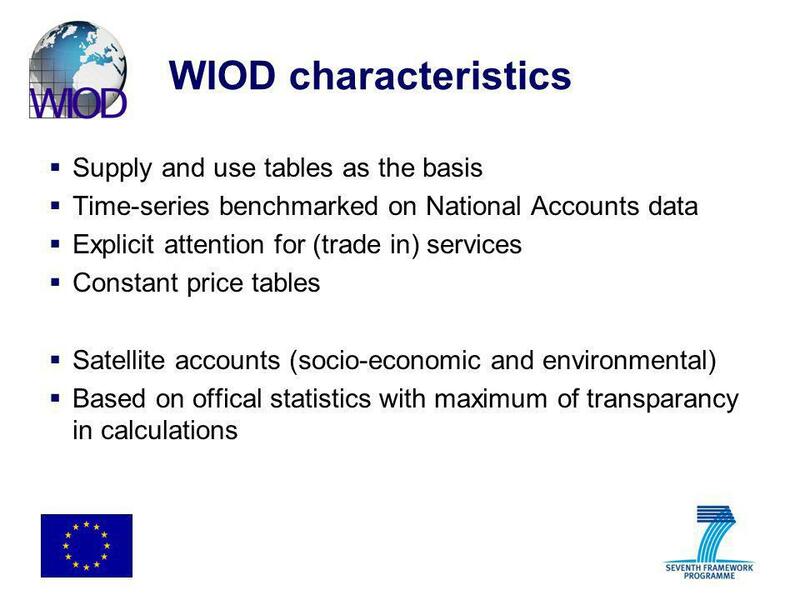 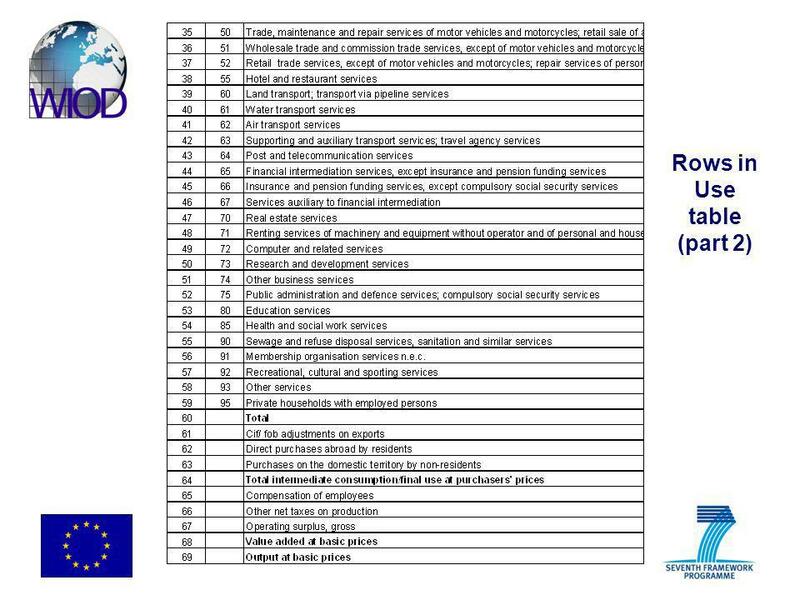 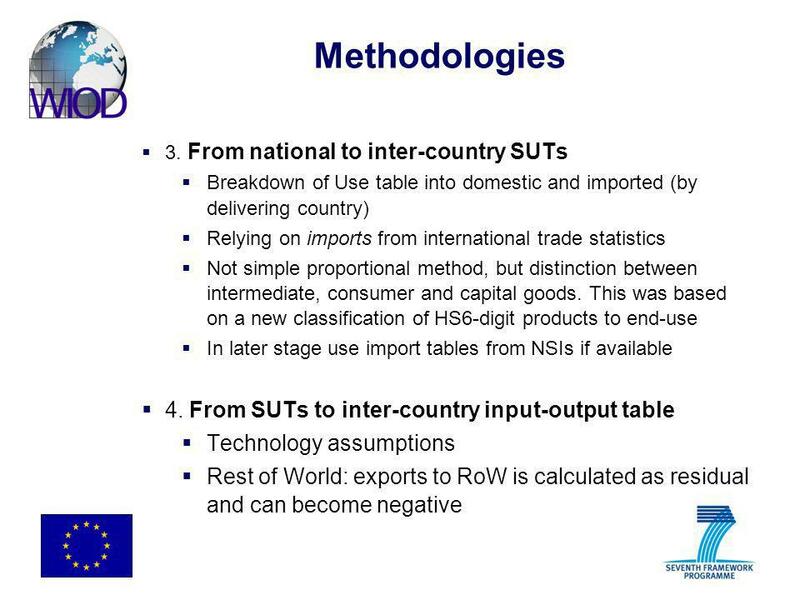 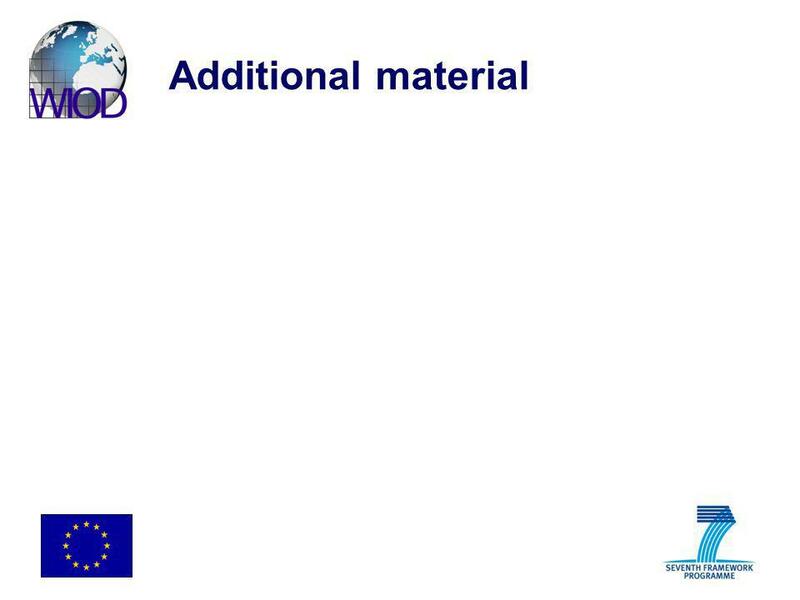 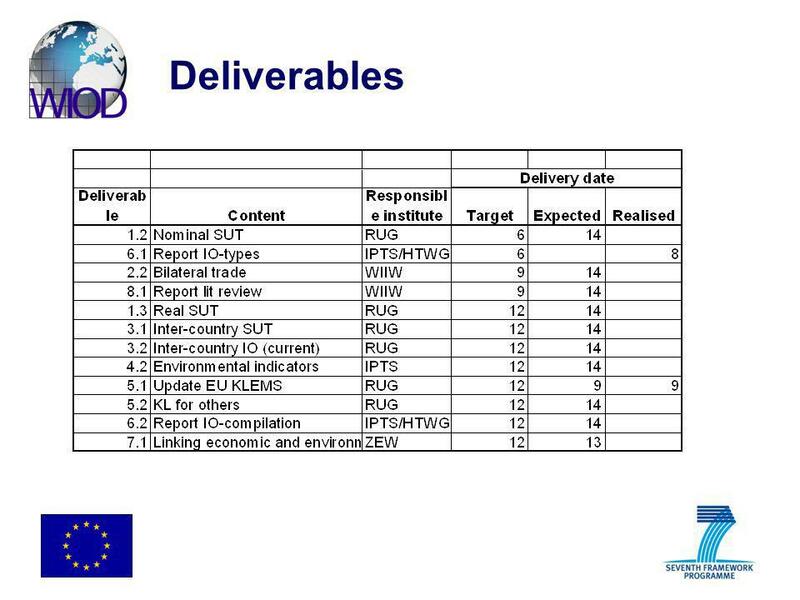 GTAP, OECD, IDE, USITC, …..
Download ppt "WIOD WORLD INPUT-OUTPUT DATABASE construction"
Groningen: Expert workshop Input-Output tables Valuation matrices in the Finnish supply and use tables. 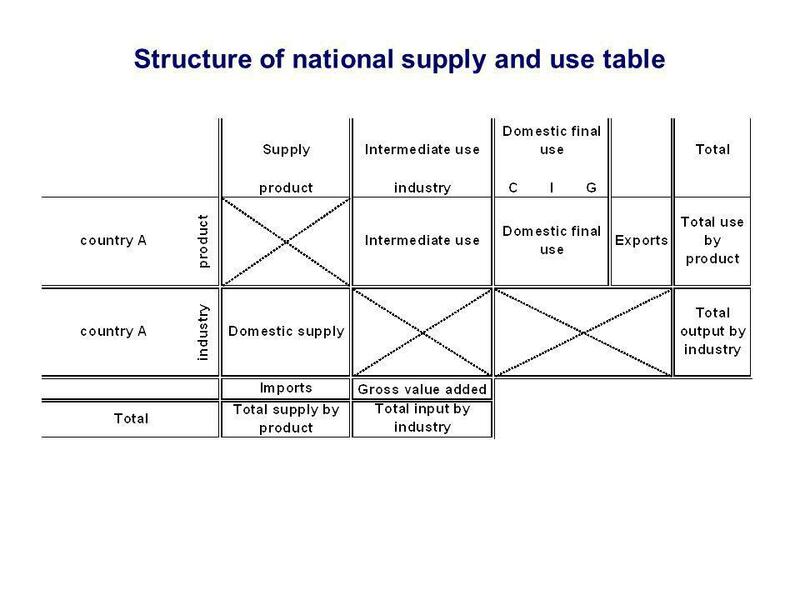 Antti Pasanen September 2005. 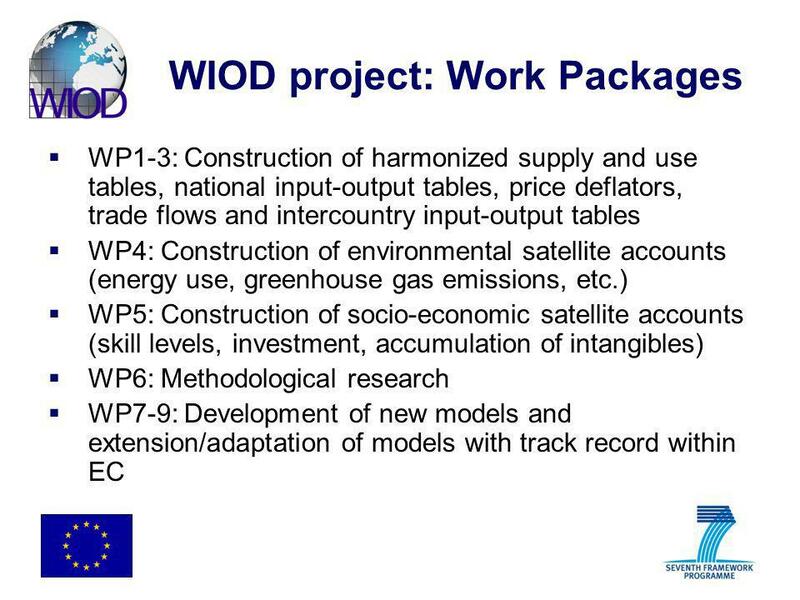 Workshop Inter-industry Accounts Workshop WP 1, September 2005, Groningen This project is funded by the European Commission, Research Directorate. 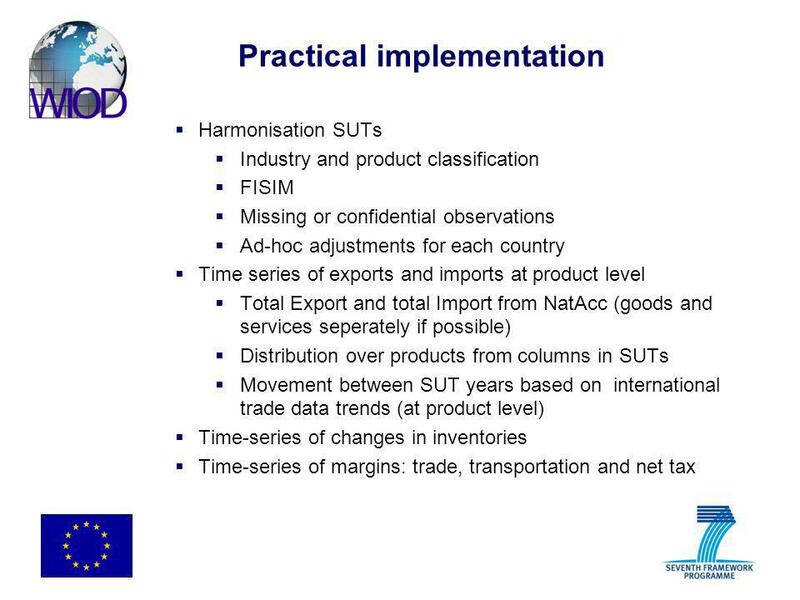 EU KLEMS project on Growth and Productivity in the European Union Presentation for Workshop for New Member States WIIW, VIenna, September 2006 Bart. 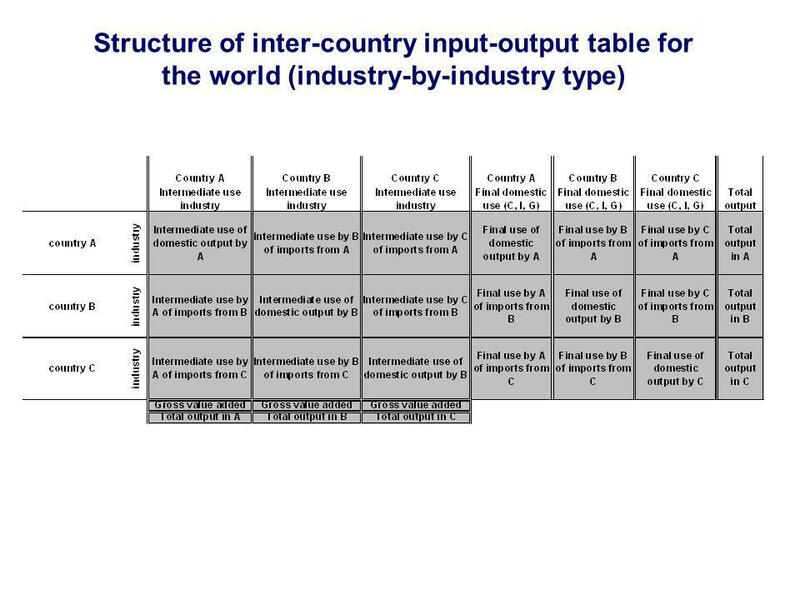 Workshop Inter-industry Accounts WP 1 Groningen, September 2005 Intrapolating SU-Tables with Bi-Proportional Methods Kurt Kratena, WIFO. 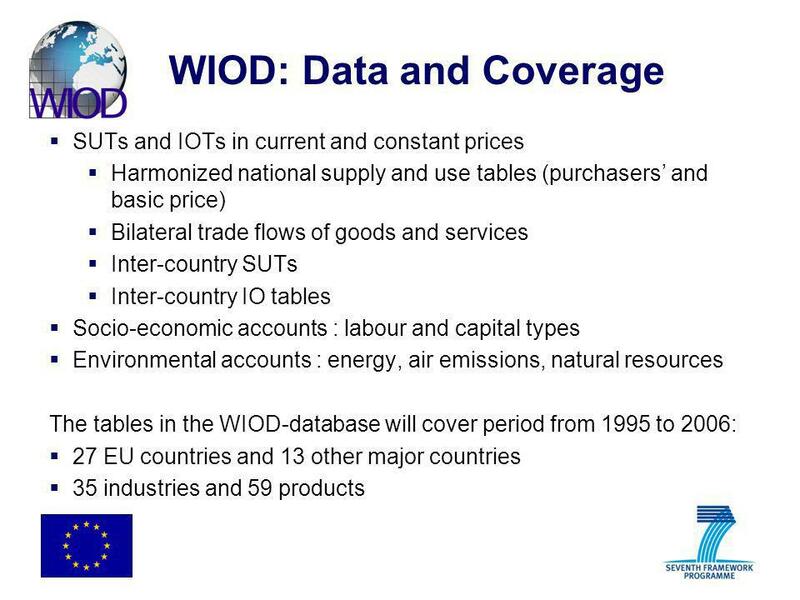 WP 1 Inter-industry Accounts 2nd EUKLEMS Consortium Meeting, 9-11 June 2005, Helsinki This project is funded by the European Commission, Research Directorate. 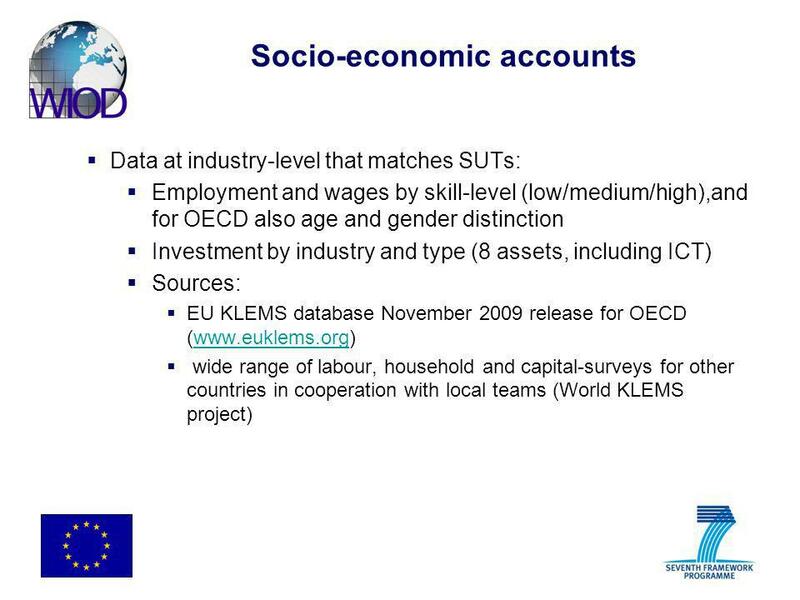 EU KLEMS project on Productivity in the European Union Presentation at EPROS Meeting, Luxembourg, 2-3 June 2005 Gerard Ypma (Groningen Growth and Development. 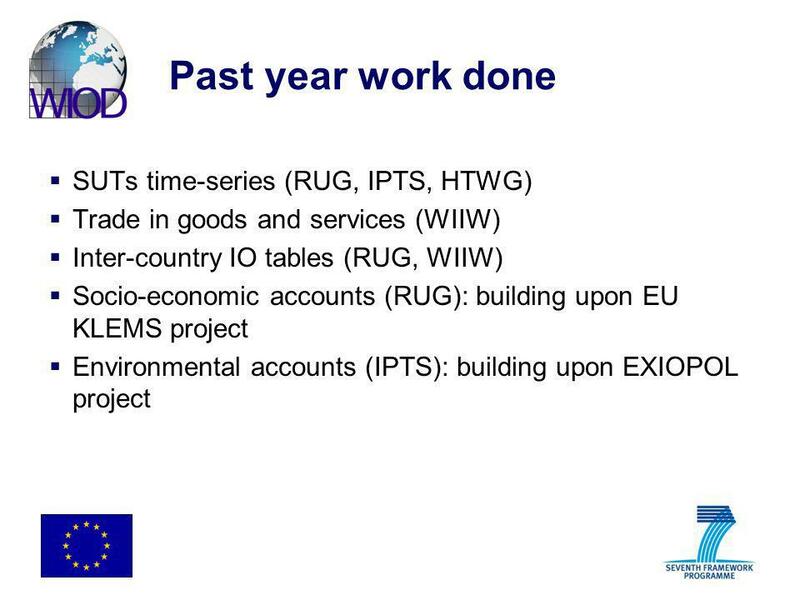 EU KLEMS project on Productivity in the European Union Presentation at EPROS Meeting, Luxembourg, 1-2 June 2006 Gerard Ypma (Groningen Growth and Development. 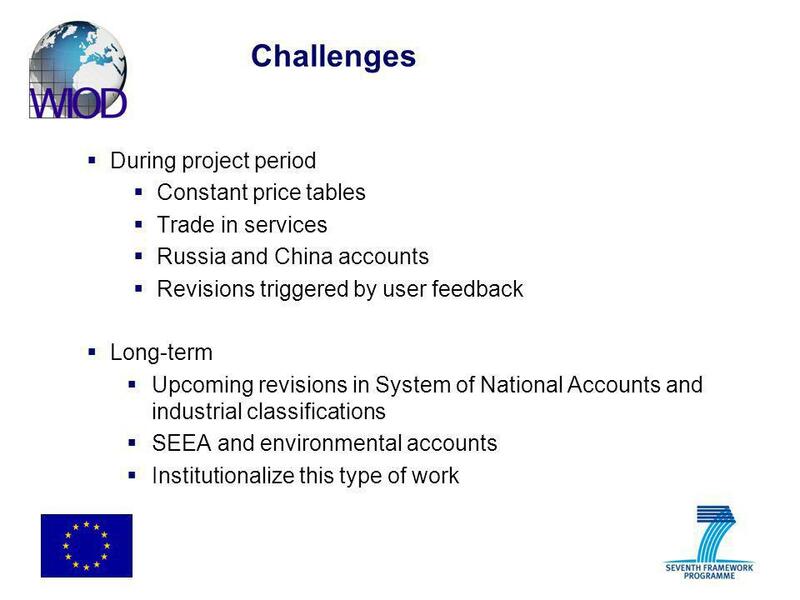 1 Catching-Up or Getting Stuck? 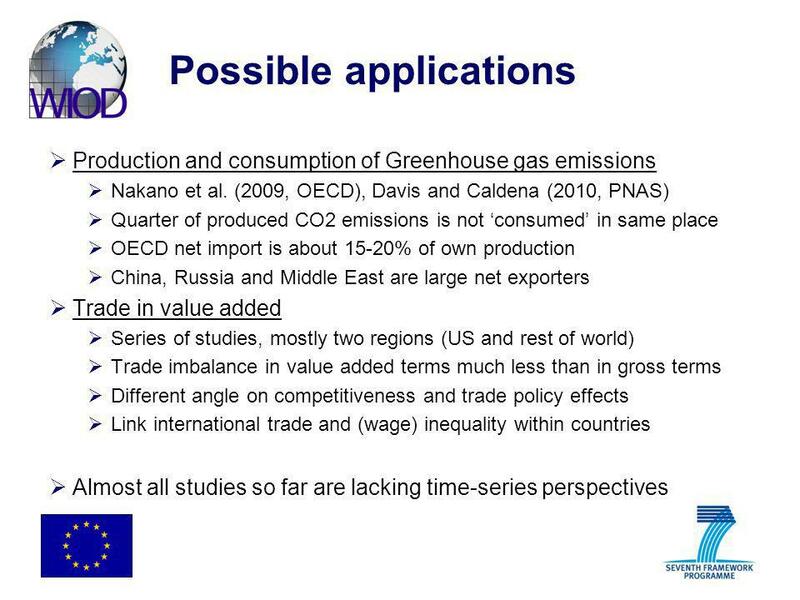 Europes Troubles to Exploit ICTs Productivity Potential Bart van Ark & Robert Inklaar University of Groningen and The Conference. 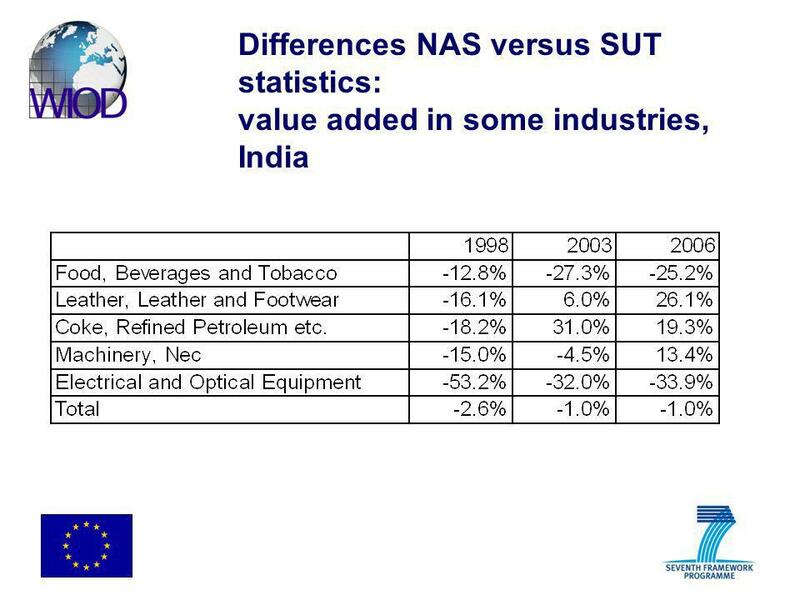 The Productivity Gap between Europe and the US: Trends and Causes Marcel P. Timmer Groningen Growth and Development Centre The EU KLEMS project is funded. 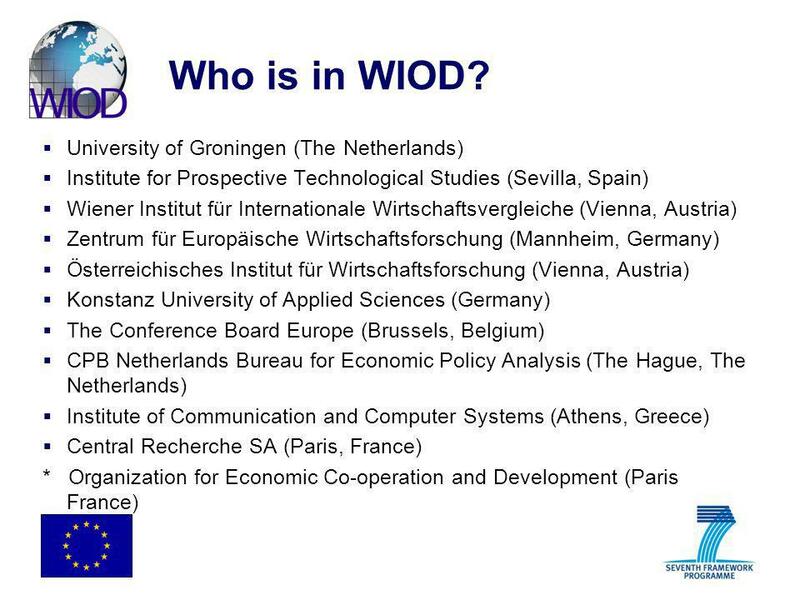 1 The OECD STAN Database 1 st World KLEMS Conference 19 th -20 th August 2010 Colin Webb OECD STI/EAS.